The Compact, true ‘city’ motorhomes with compact dimensions and infinite possibilities. High levels of specification, comfort and practicality. 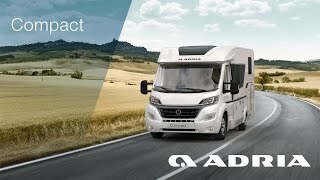 New for season 2019 there are detailed improvements across the range and all models offer optional factory-fitted accessories and new soft furnishing choices.